The School of Information Studies (iSchool) will be involved in an innovative IBM academic initiative, as one of its faculty members participates as a judge for the technology firm’s “Master the Mainframe World Championship” programming competition for young innovators. 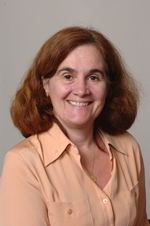 One of the judges for the finalist event is iSchool faculty member Susan A. Dischiave, associate professor of practice and director of the iSchool’s bachelor of science program in information management and technology. Judges include experts from throughout the IT industry. The competition involves 43 students from 23 countries who are top scholars in the fields of computer science, information technology and business. The students are competing in a premiere programming challenge, which brings together “the next generation of mainframe all-stars,” IBM notes on its competition website. Out of 20,000 student contestants initially, 43 regional contest winners who have demonstrated superior programming skills on the mainframe were selected to compete in additional rounds. Since March 10, those students have been working remotely, receiving training from qualified IBM mainframe instructors. In that timeframe, student competitors sharpen their enterprise computing skills, learn about advanced development tools and find out how the platform supports cloud, big data and analytics, and mobile and security initiatives, according to IBM. With that added knowledge, competitors are tasked to build a business application on the mainframe. The finalists travel from around the world to New York City for the final round of competition, where they showcase their applications. The competition takes place April 7, and winners are announced at an IBM event the following day.